The U.S. Coast Guard offloaded over 17 tons of seized cocaine at a port in Fort Lauderdale on Tuesday morning. The Coast Guard claims that they captured 34,780 pounds of cocaine, worth an estimated $466 million, in a series of stings in the Pacific Ocean. According to local news reports, the drugs were intercepted in 21 different incidents off the coasts of Mexico, Central America and South America. Sharp said that the drugs were found on fishing vessels and fast boats that were kitted out with various ways to hide the fact that they were carrying drugs. 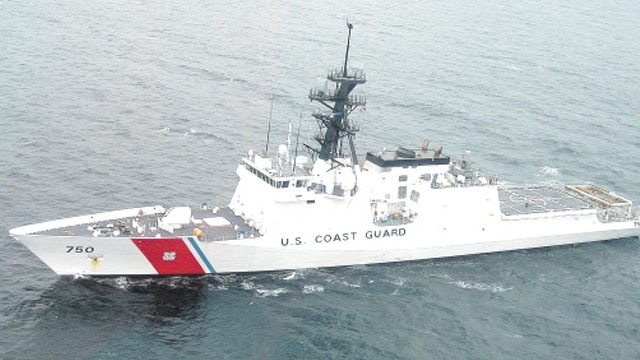 Coast Guard Commandant Adm. Karl Schultz said that 1.3 million pounds of cocaine has been seized by the Guard in similar operations over the last several years. Schultz added that 1200 suspects have been detained in those stings. Schultz recently had to deliver the bad news that Coast Gaurd officers would miss paychecks during Donald Trump’s border-wall-fueled government shutdown. With the President threatening another shutdown should legislators not grant him his wall, it seems likely that Schultz should have another memo at the ready.